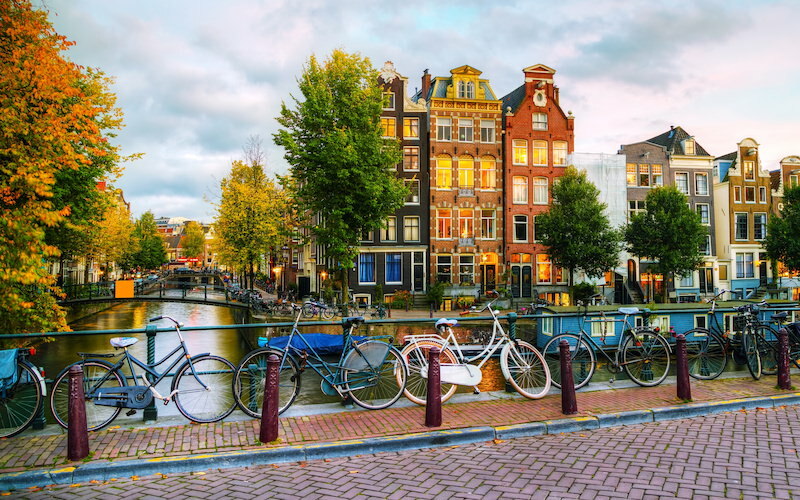 With its charmingly crooked houses, highly strollable canals, and laid-back culture, Amsterdam is a fun place to visit any time of year – but the city really shines in spring, when the parks pop with colorful tulips. To enjoy the city like a local, borrow a bike from your ship or rent one on shore – the city is compact enough that you can reach most of the main sights on two wheels. Pedal to Vondelpark to catch the tulips in bloom, and stop by the floating flower market to pick up some bulbs to take home. 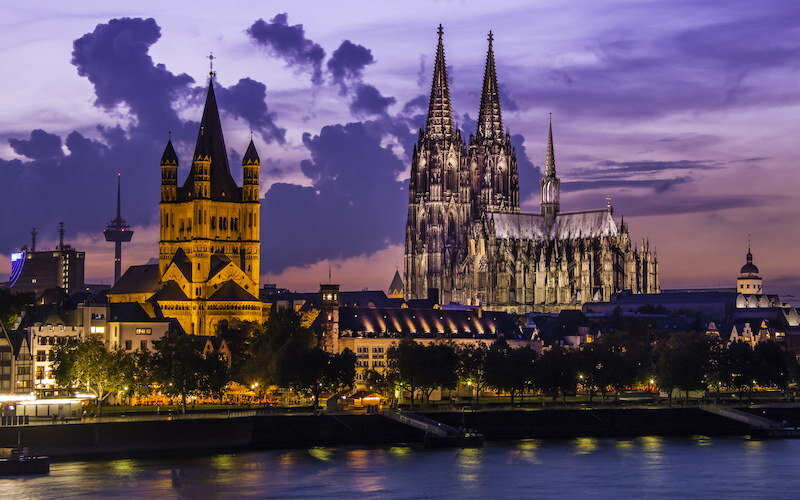 With its two gothic towers, the Cologne Cathedral dominates this small city’s skyline and is within easy walking distance of the river cruise port. Granted UNESCO World Heritage status in 1996, the cathedral has stood over the city for more than 700 years, and was one of the few buildings in the old town to survive the Second World War. After your visit, stop by a traditional brewhouse restaurant for a refreshing Kölsch – a pale beer made only in Cologne. 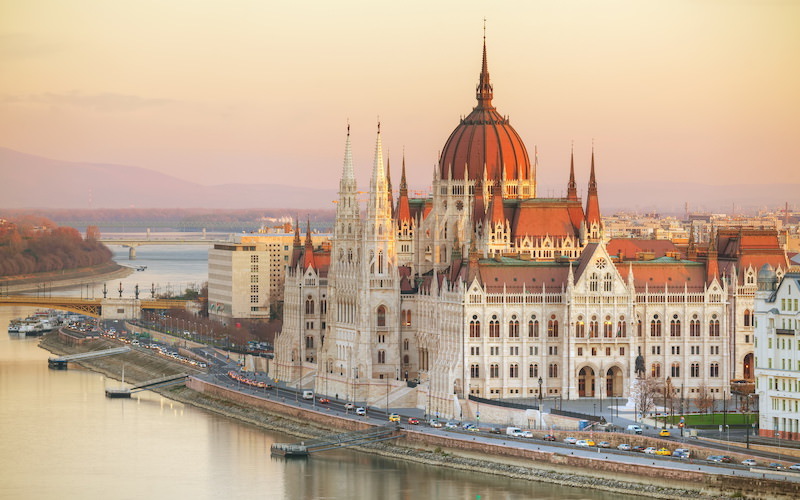 There’s no denying that Budapest is hauntingly beautiful, with many of its landmarks still bearing scars from World War II. But if you want to get at this city’s soul, you’ve got to take a soak in the thermal waters that have been tapped for bathing since Roman times. From outdoor pools to elaborately decorated indoor thermal baths to Central Europe’s largest water amusement park, taking the waters here connects the ancient and modern worlds. River cruise ships dock in Vila Nova da Gaia, just across the river from Porto. 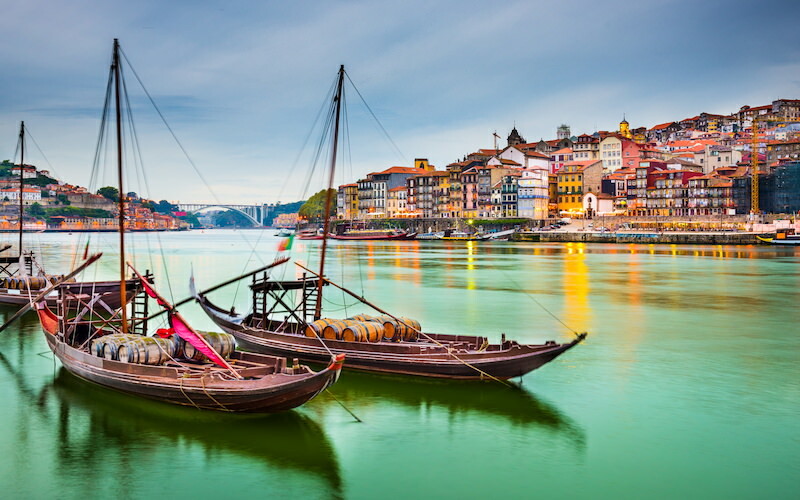 The Gaia side of the river is actually the best place to be for views, since you’ll look straight across to the view of Porto you’ve come to expect from postcards. Gaia is also where you’ll find all the Port houses, which offer interesting tours and tastings of their wares. But be sure to take the easy walk across the Ponte Luís I to Porto’s rambling Ribiera district and wander the winding cobbled streets. 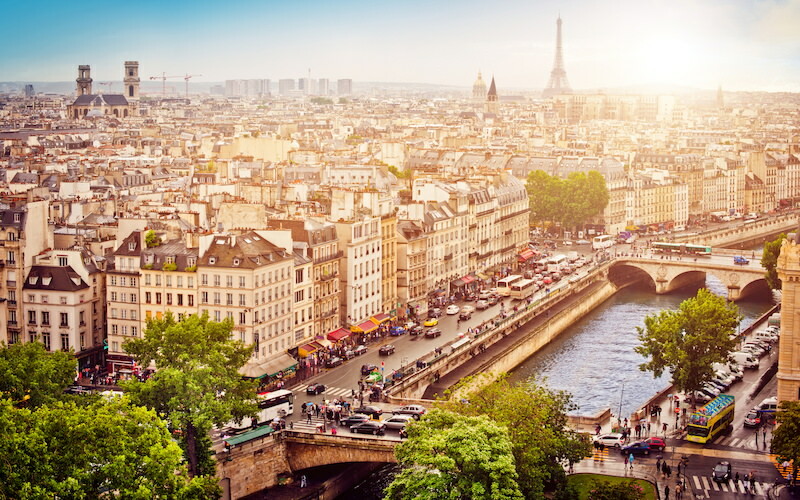 Paris is packed full of must-see spots, from the Louvre to the Arc de Triomphe to Notre-Dame to Sacré-Coeur – not to mention a certain rather famous tower. But once you’ve checked the big monuments off your list, there’s a delightful second layer to Paris – sipping wine in a sidewalk café, browsing books at Shakespeare and Company, and exploring the alleyways of the Latin Quarter are all great ways to spend an afternoon. 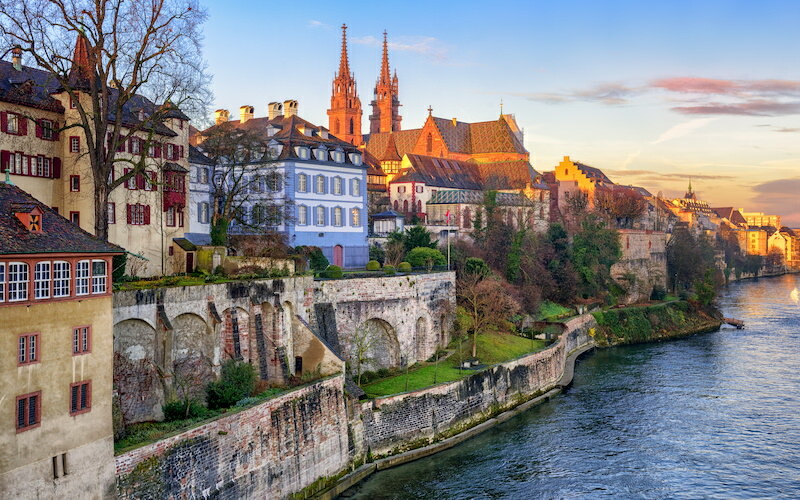 Basel sits at the border of three countries: France, Germany, and Switzerland. In this decidedly modern city, 13th-Century architecture mingles with contemporary art. The annual Art Basel art show brings in works by more than 4,000 artists, and traces of that obsessive art weekend linger all year in the abundance of galleries and museums: there are 40 museums within just 37 square kilometers. But with more than 300 days of sunshine per year, Basel is also a great destination to simply grab a seat by the river (or on your ship’s sun deck) and watch the locals swim by. You’ll be wowed by Vienna’s palaces, cathedrals, and grand State Opera House, but make sure to save some time to sit and linger in a café. Vienna’s coffee culture has been recognized by UNESCO as an intangible cultural heritage that must be protected. 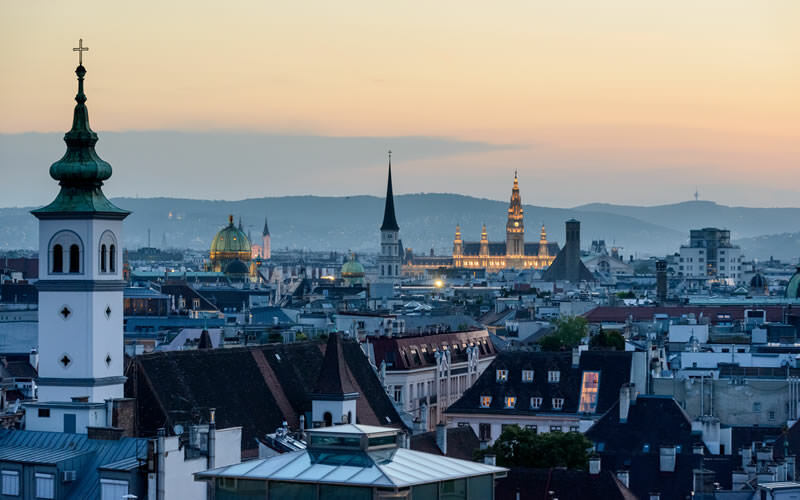 Settling into a Viennese cafe with a coffee, a newspaper, and a Sachertorte, you’ll be following in the footsteps of centuries of authors, philosophers, and royalty who have called Vienna home. Anchoring the old town, Bratislava’s main town square, Hlavné Námestie, is home to markets and charming coffee shops, but its most unusual attraction is a reminder of the damage the city has suffered through war: A cannonball fired by Napoleon’s troops in 1809 remains embedded in the Old Town Hall. Unlike the cannonball, though, the city is not stuck in its past – the old town is fast coming alive with new energy, as hip boutiques and cafes take root in the car-free zone. 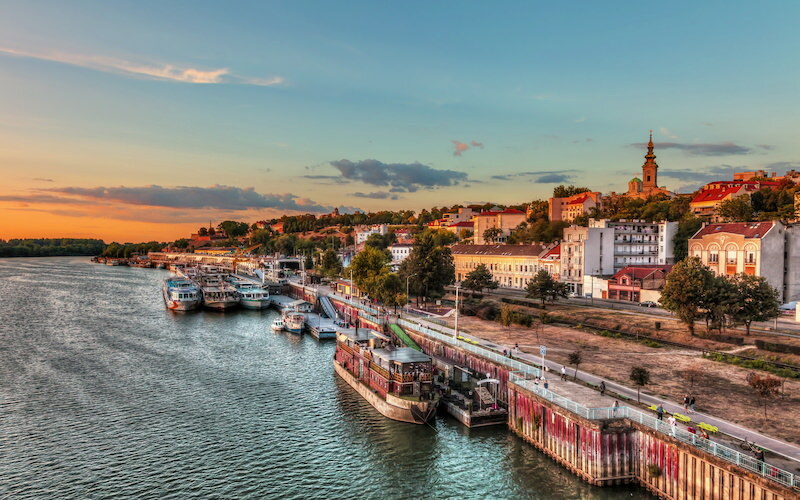 Belgrade is one of the oldest cities in Europe. 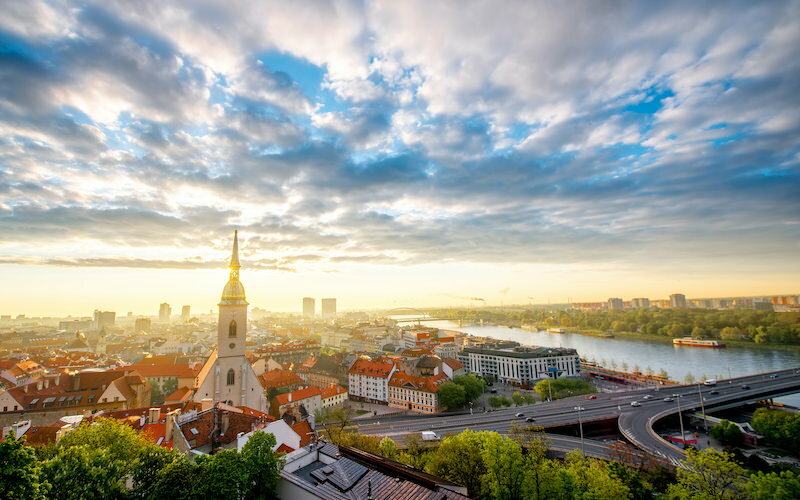 Located in a uniquely strategic position where the Danube and Sava rivers meet, it has been shaped by a long history of conflict and conquest. Nowhere is this more evident than at Kalemegdan Fortress, where a fort was first built to protect the Roman Empire in the first century AD. Exploring the site today, you’ll find 15th century city gates, an 18th century fortress, and the tombs of Ottoman commanders, along with local people out picnicking and enjoying the sun. More often thought of as a sea cruise destination, Venice is also featured on some river cruise itineraries sailing Italy’s Po River. 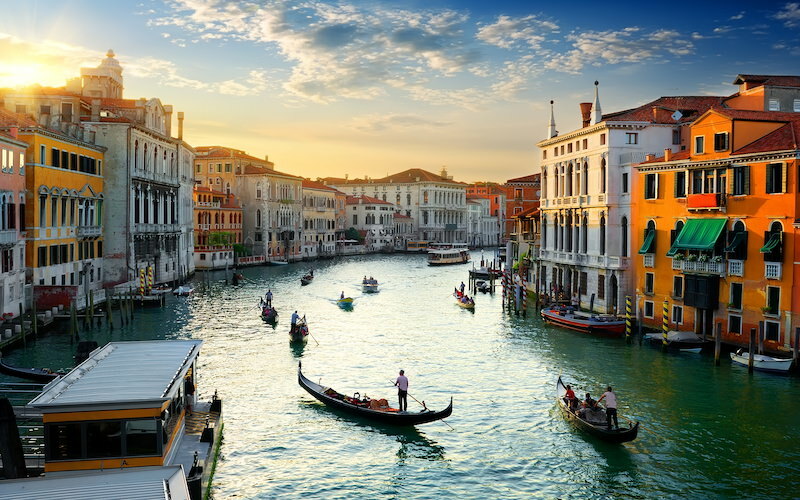 Besides the obvious advantage of embarking and disembarking with hundreds, rather than thousands, of fellow cruisers, river cruises often have an overnight in Venice. That gives you the chance to explore the city early in the morning and late at night, when the tourist crowds have thinned and you can wander along the magical canals at your own pace.